Sir Cyril Woods, centre, came to Canada in 1956, with a wife, child and $100 in his pocket. Over the next decades Mr. Woods would make millions developing car paints and undercoating, eventually retiring to Toronto, Ont. Sir Cyril Woods was desperate to stand up for his country. His grandfather, Charles Woods, had been a casualty of mustard gas in the Great War, spending the last six decades of his life in a veteran’s hospital. His father and brother served in the Second World War. At the age of 11, the young lad from Omagh, County Tyrone, walked and ran the nearly 110 kilometres to Belfast to sign up as well, only to be twice sent home and told to grow up first. He never did make it to the front. Mr. Woods came to a new country, Canada, in 1956, with a wife, child and $100 in his pocket. A painter by trade, over the next decades he would make millions developing car paints and undercoating, eventually retiring to Toronto where he and his second wife, Lorna (his first wife passed away several years after their arrival), have given millions to hospitals and other good causes. Monday afternoon in Ottawa, the Woods stood up for their adopted country (she’s originally from Singapore) when they put up the cash necessary to ensure a rare Victoria Cross did not slip into the hands of foreign collectors. Previous medals have sold for more than three-quarters of a million dollars. 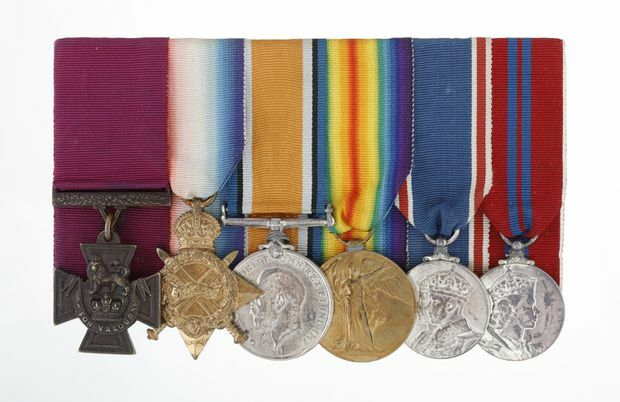 On Monday, Nov. 19, 2018, the Woods put up the cash necessary to ensure a rare Victoria Cross did not slip into the hands of foreign collectors. Previous medals have sold for more than three-quarters of a million dollars. The cross, awarded to Lieutenant Robert Hill Hanna for “outstanding gallantry, personal courage and determined leading of his company,” was won during the historic Battle of Hill 70 in 1917. With officers of B Company, 29th Battalion, killed or wounded during three failed assaults to take the high ground near the coal city of Lens, France, Lt. Hanna led the survivors on one more desperate attack, rushing a key German machine-gun position and taking it. The Irish-born Mr. Hanna survived the war and lived to see Canada’s Centennial in 1967, dying at the age of 79 near Abbotsford, B.C. It is not known how his medal came up for sale, nor is anyone saying how much the Woods paid for it. 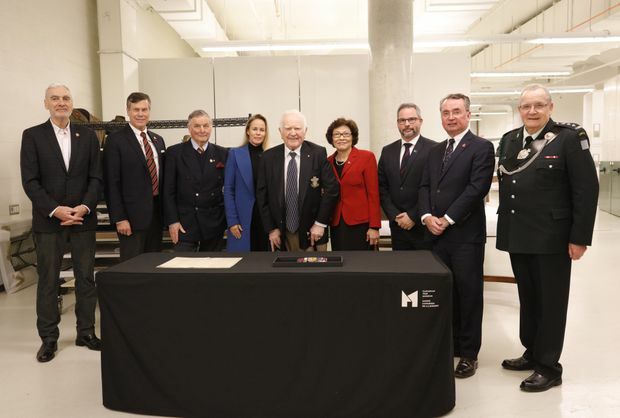 When word reached the Canadian War Museum that a Canadian-won Victoria Cross was about to go on auction, the museum reached out to those running the Hill 70 Memorial Project, a not-for-profit group dedicated to raising awareness of this forgotten battle. Hill 70 was considered a significant tactical victory for the Allies and was the first time the Canadian troops came under command of one of their own, Lieutenant-General Arthur Currie. Military historians say this successful battle, along with the Canadians' role in the earlier victory at Vimy Ridge, was pivotal in having Canada move from colony to nation. The battle took place Aug. 15-25, 1917, but victory was costly: 1,877 Canadians killed and more than 7,000 wounded or missing in action. Six Canadians were awarded the highest military honour for their heroics at Hill 70. The museum has had three of the Victoria Crosses for some time but was anxious to add a fourth. James Whitham, the museum’s acting director-general, approached organizers of the Hill 70 project but they felt they had no mandate to spend previously raised funds on such a purchase. Word was that there were already bids in on the Hanna medal and concerns were rising that the museum − which now holds 39 of the 99 Victoria Crosses awarded to Canadians – would miss out. They turned to the Woods, founding donors for the project who last year attended the dedication as well as the official opening of the memorial park in France. “It’s being Irish,” Sir Cyril says. “Irishmen aren’t scared when it comes to war. When we’re loyal to our country, we’ll fight for it.” Fight for his country just as his grandfather had, only to pay a terrible price. Sent home from Belfast because he was too young, 11-year-old Cyril took to visiting his grandfather regularly, always taking along “a little poke of candy” for the old man in the veterans’ home. “My grandfather is in my thoughts and prayers every single day,” Sir Cyril says nearly 80 years later.